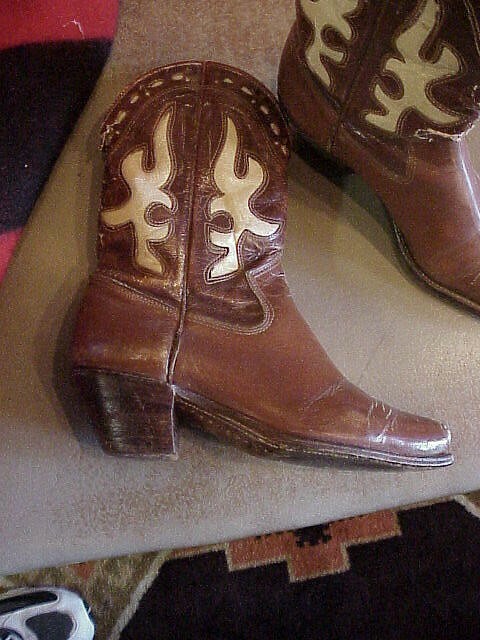 Great pair of vintage Woman Cowgirl Boots. They match the men's cowboy boots on earlier pair listed here. Sizes in this period ran rather small. So to say a size 7 could mean a 6 today. Great pair of vintage Woman Cowgirl Boots. They match the men's cowboy boots on earlier pair listed here. Sizes in this period ran rather small. So to say a size 7 could mean a 6 today. Please email cowboyron@cowboycabin.com with questions or call 406 270-2842.